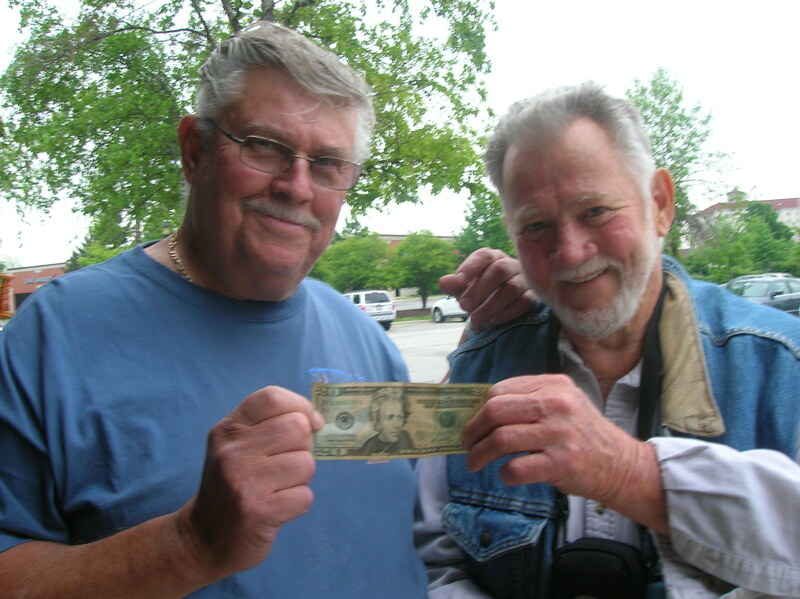 Here’s the photo of Fred Herman returning the $20.00 to his friend John Duffy. The Lord is so good. He is working everyday to reveal himself to us. He is moving and active in our lives. He wants to use each one of us to complete God sized tasks, to expect divine appointments, to see his hand at work around us. Every day I try to approach the day with this attitude, “Lord, I am available to you today. Use me however you see fit. I am going to go about my day doing the tasks at hand, but I give you full permission to interrupt my day any time you want to. Give me ears to hear you, eyes to see you and a heart that is ready to be unselfish, generous, and in-tune with your heart.” Then I watch and wait, listen and obey….. If you have never done that, try it. I know many of you have great stories to tell. Thanks Fred for sharing the photo with us! We promised that if we found John, we would give the Lord all of the glory! Thank you Lord for your faithfulness to us! Let’s spur one another on by sharing some divine appointment stories with each other. Tell us one of you cool God-stories! What a great story! I enjoyed reading the first one too. I liked how you made the most of the opportunity and encouraged everyone involved to consider God’s hand in the process and thank Him for His love and help. Way to go Cindy! Look at these two. They could be brothers! Good job, Cindy!